My daughter is growing fast, but she still has time for toy owls. Each owl has a character: consistent and generally comic. The owls play out what she would love to be part of: anarchy. A set of naughty creatures who transgress for the sheer joyous fun of it. Her play generally runs like a polished script: something that would make a wider audience than myself chuckle. But today I happened to be padding about, tidying up, when I heard her chortling. And then I heard Maddie supplying Lulu’s voice. Lulu is one of the smallest owls in Maddie’s vast collection. She is impish. She is a confirmed arsonist. Her sins are rarely small and usually extravagant. As I tuned into her conversation, Lulu had decided to dial a huge pizza without anyone’s permission. And she would put it on someone else’s credit card. But there was a problem. Because Lulu did not know the number of the pizza takeaway store. But, it transpired, she had a plan. Our local telephone numbers have six digits. So Lulu would try every combination, systematically, until she found the Pizza Takeaway Delivery Man. “1-1-1-1-1-1” I heard the small owlish accent intone. There was a pause. Maddie helpfully supplied the other end of the line too. “1-1-1-1-1-2” comes the little owlish voice. And so on. I listened to about six of these mock phone calls as Lulu the owl mounted her strigiform assault on British Telecom’s numbering system. The owl called any manner of organisations from all levels of society. The dialogue crackled, the one-liners were fresh and funny. As Lulu dialled 1-1-1-1-1-6, I was called downstairs to the washing machine repair man, and trailed off reluctantly, furious with myself for failing to record the scene. Combinations: so near, yet so far. They feel as if they should be only just out of our reach: yet if Lulu had continued for hour upon hour she might not have stumbled upon the Pizza Delivery Man’s telephone number. Oh, the fun Maddie would have, a different scenario for every wrong number, if the combination were 989898. Felix was gifted a very beautiful bike this week: my godson had outgrown it and my great friend Nicky, his mother, wheeled it out of the shed and said, would Felix like it? Felix eyes glowed like blowlamps, and it was piled into the car. One small issue: around the handlebars was an equally beautiful quality combination lock. It did not limit the bike’s movement, but I soon realised Felix valued it highly too; and he wanted it to use with the bike. But no-one could remember the combination. Nicki and her son volunteered a few ideas, but they didn’t open the locks. And I left Felix trying combinations Lulu style on a four-digit panel: 1-1-1-1, 1-1-1-2, and so on. My son, I figured, would be there for a very long time. Yet barely 15 minutes later, there was a triumphant shout from the porch. He had found it, and would never forgive me if I divulged it. Yet a systematic approach, while laborious, served him well. He was convinced it was possible to open it. It was only a matter of time. Just like the little owl dialling for pizza. Sometimes it helps not to know the odds, but to wade in to solve a problem which would ordinarily seem insurmountable. What would happen, I wonder, if we could shut our eyes to what our adult minds tell us is impossible, and take a leap into that infinite problem-solving universe? Posted in Shrewsday MansionsTagged combination locks, combinations, family life, playng, toysBookmark the permalink. What a beautiful post! I am finally reconnected to your blog and others – yeeha! Hi Julie! And welcome back to the blogosphere 🙂 Glad you enjoyed the post! I wish too that you had recorded Lulu’s quest for pizza. It sounded so hilarious, so very, very creative. And Felix, good for him. Another lesson learned from both your wonderful kids. Systematic, yes, but Maddie’s multi-personality play acting speaks of an imagination that’s already on fire. How wonderful to have been around to hear that little piece of theatre! I wonder if there’s a synapse there (in kids), between the logical and the creative that we seem to have closed? What an interesting thought, Wanderlust. perhaps we are all Renaissance people underneath. I’ve said it before: you have great kids! 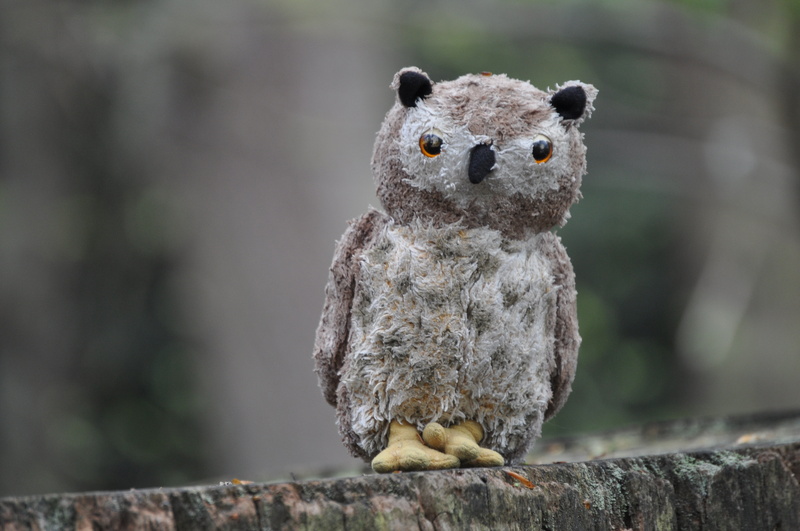 You should get Maddie’s owls doing that flat thing – you know, send a picture and other bloggers take them around and post photos of the places they’ve visited. I’ll see what I can scrounge up; I’ve seen it on other blogs. Maddie’s at such a perfect age, a little girl in playland budding into a young lady attending country parties. Such fun to listen in on your sharing of her theater. Felix must indeed be a budding young safe cracker in the service of HRM, doing only good. 🙂 I have an old master combination lock that I have had since 7th grade and had forgotten the combination over the years. For whatever reason, I dug it out some years ago and started playing with some combinations that seemed familiar. After a while, the numbers matched up and now I have a perfectly good lock for the boat trailer. Sometimes the blind squirrel does indeed find the nuts. I had wondered about Maddie’s Awful Owls. I am glad she is still crafting their stories. Awesome tie in with Felix’s bike lock. He is very clever. They both are. Yup: the owls’ stories never stop, though they are not written down, and are a continuous source of mirth in the household. At the end of each day Phil asks Maddie how her day has been and and she comes out with a litany of Lulu’s misdemeanours. Invention is such fun. I was trying to remember the RFK quote – glad to see Carl’s memory is better than mine. I always enjoy hearing of Maddie’s creativity – and that children are still pretending. She is at such a charming age, straddling childhood and the teen years. Good going, Felix. I’d still be trying combinations, likely in frustrated tears. Clever kids! And a clever intertwining of the two stories, so no doubt about where they get it from 🙂 And yes, I think we lose those creative problem solving abilities along the way. Above all, they are entertaining, to themselves and the people around them, Debra 🙂 I am sure your grandchildren are just the same! Tomorrow Felix is going undercover as a reporter for me: he’s off to the Olympic village! Exciting! Dear Kate, I so enjoy your stories about Maddie and Felix. And the addition of Lulu today was a delight. As to being systematic and taking that leap of faith that persistence will win the day–ah,if only. But some time ago, with the advent of Meniere’s Disease, I learned I have little if any control over the Universe. And so I mostly go with the flow and refuse to tax my brain. But perhaps what is necessary for me is the Gospel injunction: become like little children. Peace. Fantastic! I love Maddie’s owls. Lulu sounds like a trip, and well done, Felix. There’s something to be said for persistence and faith. Note to Shrewsday parents: don’t lock up anything top secret with a combination lock. And don’t be surprised by unexpected deliveries. luv this & many thanks because a thread in my thought stream hours ago drifted away, but reconnected with your words. the crux: how the child’s mind gets polluted with our own. A friend once told me that we adults give up too soon. This applies to solving problems, avoiding accidents or doing mundane tasks. Maddie and Felix both made me think of this theory. If Maddie wants to do it, I’d be happy to swap flat somethings with her. What flavour would Lulu have ordered, I wonder – BBQ Mouselovers with extra tails? wow, what a wonderful post, it brightened up my day!